The Reserve Bank of India has revised the priority sector lending norms which direct banks to lend to certain segments by prescribing targets as a percentage of their total business. 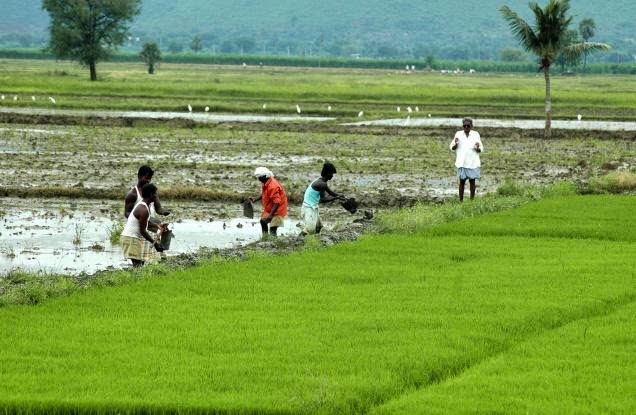 The new norms require banks to ensure that 8% of their loans go to small and marginal farmers. New sectors like renewable energy and social infrastructure will get a boost as these are now classified as priority sector. Any bank that lends up to Rs 10 lakh to a household for solar power and biomass-based generators can classify the loan as priority sector. Earlier, there were sub-limits for direct lending and indirect lending to agriculture. These two segments have been merged making it easier for banks to achieve the 18% agri target as large loans to processed food industry are also now covered under agriculture. The challenge for banks lies in disbursing 8% of their total credit to small farmers and 7.5% of bank credit to micro enterprises. Foreign banks, which until recently enjoyed relaxed priority sector norms, will face new challenges. Under the new norms, the sub-targets for small and marginal farmers and micro enterprises would be made applicable post 2018 after a review in 2017 for foreign banks with more than 20 branches. Foreign banks with less than 20 branches will move to the total priority sector target of 40% of loans or 'Credit Equivalent Amount of Off-Balance Sheet Exposure', whichever is higher, on a par with other banks by 2019-20. What this means is that if any foreign bank issues a guarantee for Rs 1 crore, it will have to disburse loans worth Rs 40 lakh in the priority sector. Banks can also lend up to Rs 5 crore per borrower for building social infrastructure such as schools, healthcare facilities, drinking water facilities and sanitation facilities in tier II to tier VI centres. Home loans up to Rs 28 lakh in metros and Rs 20 lakh in other centers will form part of the directed lending as long as the cost of the property is not more than Rs 35 lakh and Rs 25 lakh, respectively. Large-ticket education loans are also expected to receive a boost. Under the new norms loans, up to Rs 10 lakh, including vocational courses, irrespective of the sanctioned amount, will be reckoned as part of priority sector lending.